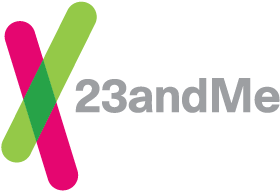 Many 23andMe customers participate with their family members, including parents, siblings, spouses, and more. When registering your kits, you can choose to establish separate accounts for each individual or place all family members in one account. There are a few aspects to consider when choosing which type of account to set up. Search or download the other person's raw data. View the other person's DNA Relatives. If applicable, reports that are not compatible with the other person’s account or older versions of reports purchased prior to November 22, 2013. If applicable, reports that require an additional consent such as Late-onset Alzheimer’s Disease and Parkinson’s Disease. Based upon how much information you wish to share and how frequently each person will be logging in, you can choose the method which will work best for you. You will all share one email address and one password to log in. Only one person can be logged into the shared account at any given time. Access to all of each person's genetic data would be available to everyone who shares the account. Each person will have a unique profile and each profile would have its own unique set of surveys. To register a kit into an existing account, click here and sign in to enter your account credentials (email address and password). When extending or accepting a sharing invitation when you have multiple profiles in your account, you will be asked to choose which profiles you wish share with another user. Whether you choose to share one or more of the profiles in your account, you will be able to view the established sharing connection from any profile in your account. As an example, if you decide to share only your profile with another 23andMe user, the connection will appear as an option in the Share and Compare feature for all profiles in your account — not just the profile that shared back with that person. Because of this functionality, accounts with multiple profiles may see sharing connections in the Share and Compare feature that do not share segments of DNA with each profile in the account.